Includes 7-1/4" Magnesium Circular Saw - 5007MG-R, Carbide-Tipped Blade - A-94530, Hex Blade Wrench - 783204-6, Rip Fence - 164095-8, Tool Case - 824772-1. Excellent new saw from Makita! 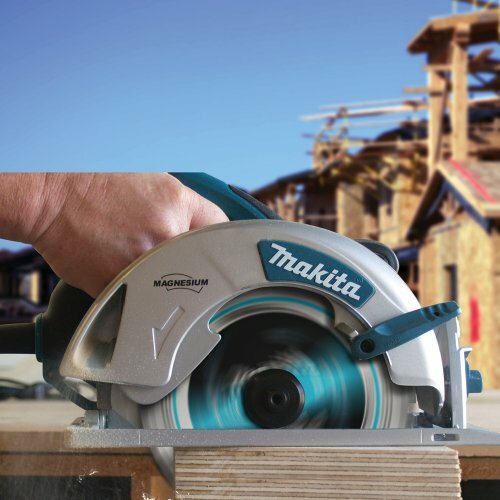 This new saw from Makita is an outstanding improvement over previous models. It has a much more substantial feel and the rubber grips are nice too. 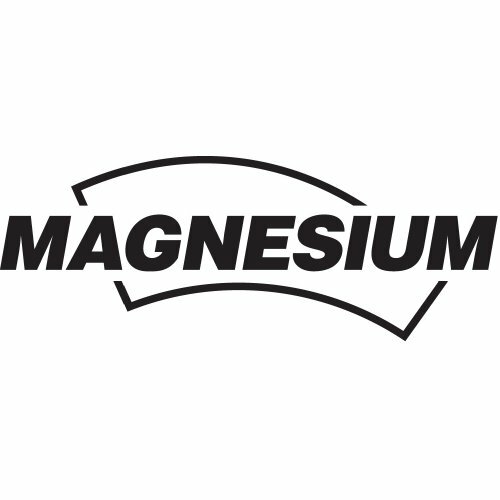 The baseplate is now made from cast magnesium which should make it stronger and add to its durability. The rubber grips on the depth and bevel adjustment levers are also welcomed, no more skinned knuckles trying to pry the old style loose. The fit and finish of this saw is also outstanding. 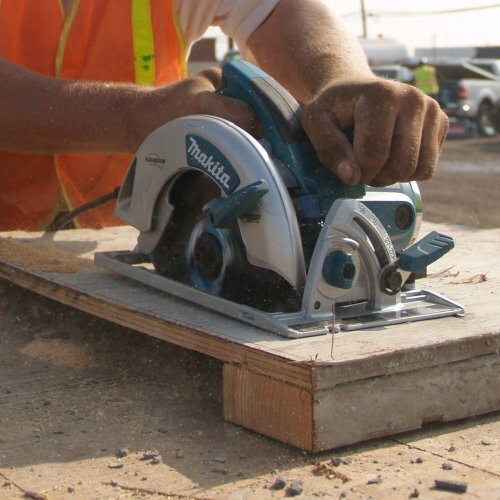 The saw has as much or more power than any other sidewinder on the market. I'm not a salesman, just one who appreciates fine tools and this saw from Makita would make a nice addition to anyones tool bin. This is the best circular saw I have ever used. I used to own the previous version, 5007FK. I'm a homeowner, not a pro, and my old saw 'disappeared' when some contractors were at the house. I went for this upgraded model as a replacement and haven't been disappointed. I've used it on multiple projects (deck, bookcases, some light framing) and it is powerful and cuts true. It is a big improvement over the old version in several ways. The ergonomics are better, the adjustment levers are now rubber coated (used to be smaller hard plastic knobs), and the cast magnesium base is more solid than the old stamped aluminum base. Also, the blade guard is redesigned and no longer binds up on 2x material. Great saw. Highly recommended. 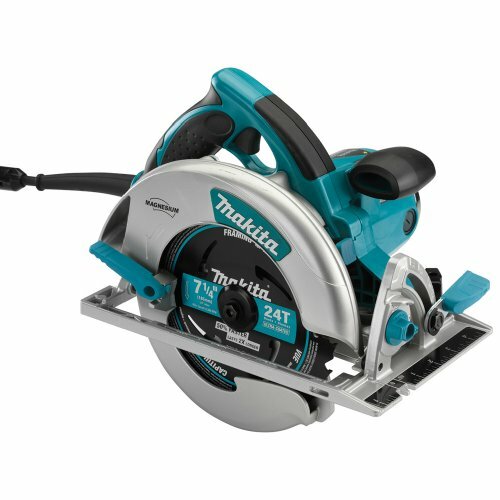 Comparison shop against the Milwaukee and the Porter-Cable (forget the DeWalts) and you'll see this Makita comes in first. My only complaint is that the included blade is junk - mine lost two carbide teeth on my first project. Ditch the blade for a good Irwin or DeWalt blade. Had to Call Makita about this. The rip fense can NOT be used to rip measurements between 3" and 3-3/4". It took speaking to 3 people at Makita before finding a person that even had a clue as to what I was talking about. Had to go to Sears and buy a universal mount rip fence. Makita has still not called me back as promised. Very dissappointed with Makita on this one. PROS-Plenty of power,smooth,and accurate. Auto stops on the most common bevels,easy to use adjustments all around. Used it to frame out a 16x20 storage building with 2x6's without any problems. CONS- Would be nice if the case that it comes with was a bit better made. Still gave it 5 stars, at least it does come with a case. 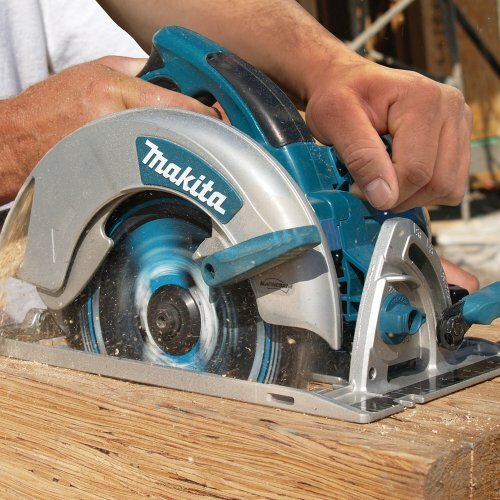 OVERALL- If you need a good circular saw, put this one on your list. I love my new saw! The shoe is magnesium and slick as teflon. The bevel has positive stops at 22-1/2 and 45 degrees. The depth indicator on the back next to the handle is well thought out. All the knobs are large and rubber coated for ease and comfort. I'm also very impressed with the 24 tooth blade they sent. I recall my Makita LS 1030 came with a very good blade. I usually prefer a Freud Diablo 40 tooth blade for general purposes. Drawbacks- The plastic chrome end cap on the motor housing looks cheap and I wonder if it will break. I would prefer something more industrial looking to keep in line with the general feel of the tool. The cord- made of very good material, but woefully short. This is the case with almost every power tool I've ever owned. First thing I did was buy a good Yellow Jacket cord and put 20 feet on my new saw. Overall, a most excellent tool. Makita almost always hits a home run. I ordered the 5007MG based on reviews stating "I like the brake" The saw reviewed on this page does not have a brake. If you are looking for an electric brake you need to order the 5007MGA. I need to do my research and not rely exclusively on reviews. I really like Amazon because I can return this saw and order the 5007MGA with an electric brake. Thanks Amazon. The four star rating is no fault of the saw. Bought this saw a while back but when you live in Oregon, you never know when the weather will be good enough to work outdoors. Finally had a chance to use this saw today and I really enjoyed using it. So here is the review. Had a 'Skil' before this and that saw was a pain...kept using brushes and you couldn't trust it to get the job done. What I like about 'Amazon' is, when you are interested in a product you can research it and see what others have to say about it. For example, when I needed this circular saw I almost bought one without the brake. Then I read a review from someone who wished he'd paid a few more dollars and got the brake. Well that was enough to convince me to pay a little extra and get the brake. I'm very pleased with all products bought on Amazon. I purchased a couple of these saws to replace the 8 dewalt 369 saws. the dewalt are garbage, I only use them now as demo saws, or to cut curves on roofs. this saw is much better built and more comfortable to use. When you have to cut 250 rafters, or 1100 studs for 1st floor heights you need a decent saw. this one is worht it, even though I bought one in a tool store in southampton and paid $180.00. looked on amazon and paid $104. no tax and free shipping. so I ordered 5 more. 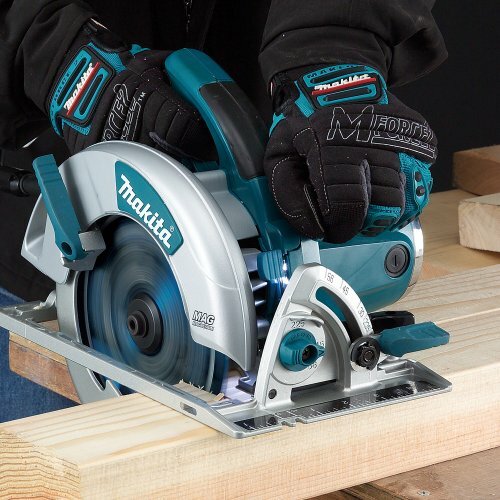 The Makita 5007MG Magnesium circular saw is everything it claims. It's light, acurate and powerful. The batteries don't last as long as I expected, but the charge time is fantastic. This is the finest circular saw I have ever owned. This is coming from someone who owns 5 circular saw presently and over 30 year experience. I think I've owned every circular saw made. The led lights are really nice, the balance perfect, adjustments sweet and the motor seems to just glide through wood with simplicity. 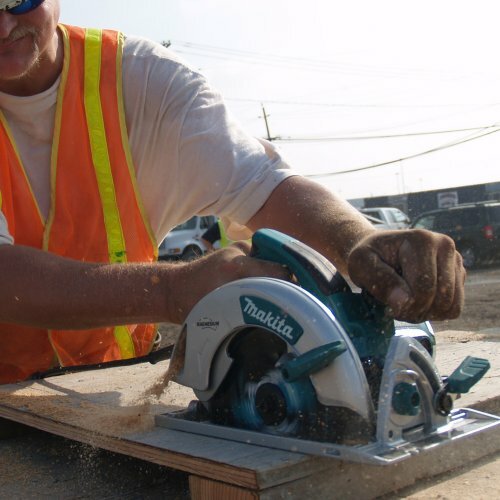 Makita saws became the most popular among contractors long ago because of there light weight and the thinnest blade guide in the industry. The only gripe is when you set the depth gauge which is really nice if you go past 0 it gets stuck. Now when you set the gauge it's easier to go to 0 then up to the depth you want. The angle gauge has positive stops never saw this before I like it. Lot's of convenient features. Easy to work with. Powerful. Cuts great. I am not sure what can be improved. Perfect. My old, old Craftsman circular saw never really let me down, but after buying this Makita saw as a gift for my son-in-law I thought I could do better. Amazon's price plus free shipping made it a "bargain" versus Home Depot. I've used it only several times, but it's clearly a fine tool. Ultimate test is durability, and so far so good since my son-in-law is still in business.